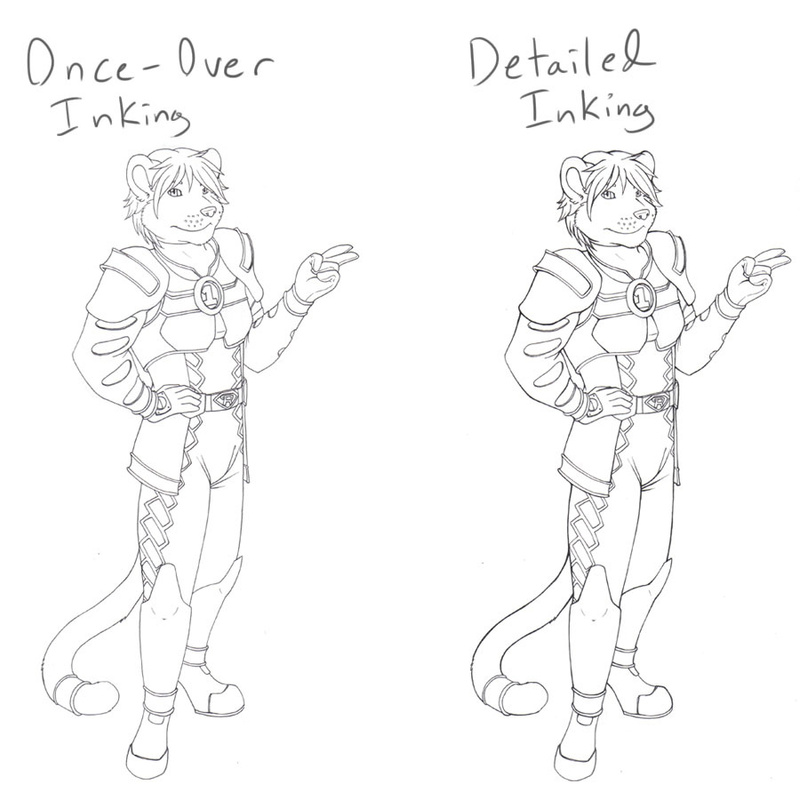 Just finished the inking portion, and thought I'd post a comparison shot. The left one is bare bones inking; just a once-over with a small multiliner pen. The right one has much more detail; I basically inked the entire drawing a second time. It takes twice as long (obviously), but it makes a big difference in quality, as you can see. I don't know if detailed inking is worth the time if I plan on colouring the picture, though. Any dark colours I add to the drawing typically hide the line art, or at least any finer details in it, and so I may just be wasting my time in that case. When I go to ink my next drawing for colouring, I plan on leaving it at the once-over stage and colouring it from there. I'll post a comparison shot between this drawing and that one and see what it looks like from there.